Start by heating up the mash water slightly above the target mash temperature (usually 65°C) in the brew kettle on the stove. While that is heating, setup the bucket on the blanket outside. 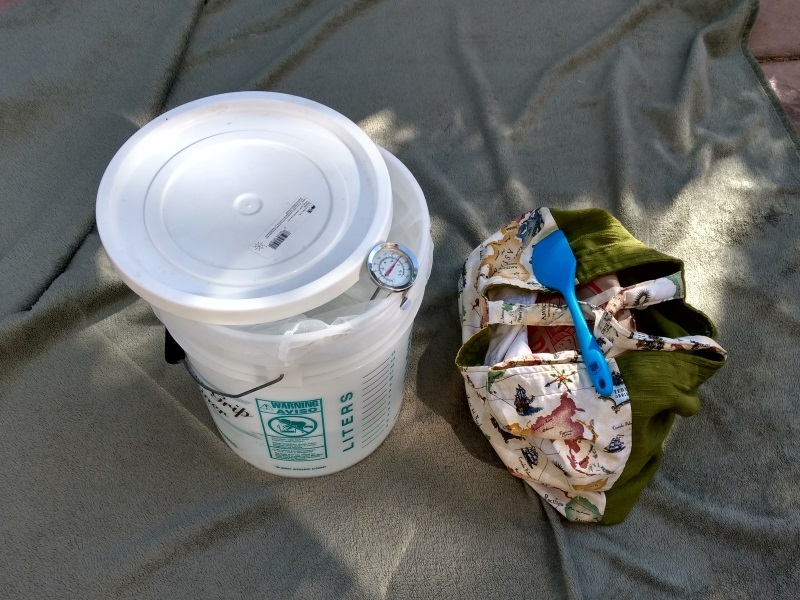 Line the bucket with the paint strainer bag. Pour in most of the water and wait a few minutes for the temperature to equilibrate. Place the remaining water back on the stove, and resume heating it above the target temperature (target 80°C). Slowly mash in the grain, one cup at a time, stirring it in to avoid grain balls. 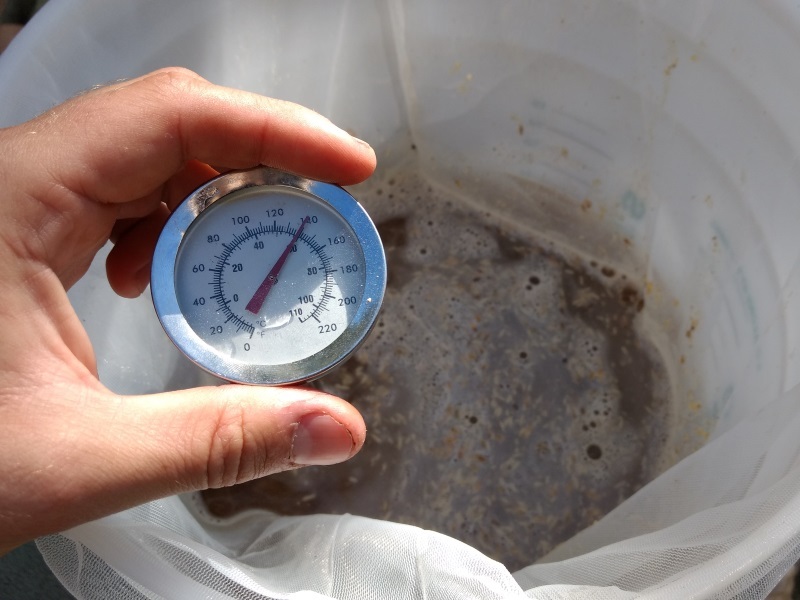 Once complete, check the temperature; it should have dropped below the target mash temperature. Incrementally add in some of the hotter water from the stove to increase the temperature of the mash in the bucket back to the target. Place the lid on the bucket and wrap the blanket around the bucket. Wait for the desired mash time (60 - 90 minutes). 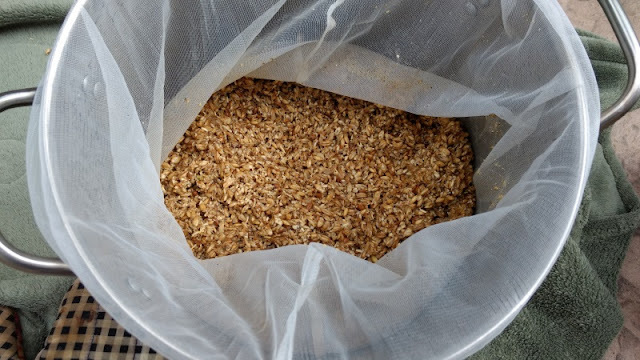 When mashing is complete, slowly remove the grain bag from the bucket, allowing the wort to drip back down. At this time, the bag may be placed into a second bucket and sparged. The wort can now be carried forward into the boiling kettle. Pretty simple and easy to utilize technique. This is a very easy way of starting with all grain brewing that can be done at a signicantly less cost than building a lauter tun. Here are some advantages and disadvantages of mashing in a 5 gallon bucket. I hope you enjoyed this guide. Use the link below to see more homebrewing recipes and guides.